New. Num Pages: 240 pages, diagrams, figures. BIC Classification: VSB. Category: (G) General (US: Trade). Dimension: 229 x 160 x 18. Weight in Grams: 284. 2014. Paperback.....We ship daily from our Bookshop. Very Good. 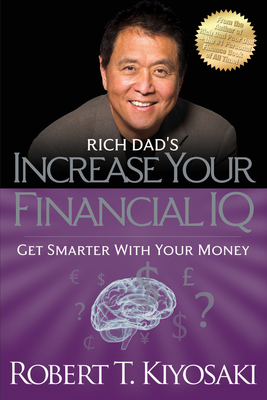 Robert T. Kiyosaki-the bestselling personal finance author of all time-now shows how anyone can dramatically improve their current personal financial situation by raising one's financial I.Q. Trade paperback (US). Glued binding. 197 p. Contains: Diagrams. Rich Dad's (Paperback). Good. Robert T. Kiyosaki-the bestselling personal finance author of all time-now shows how anyone can dramatically improve their current personal financial situation by raising one's financial I.Q. Trade paperback (US). Glued binding. 197 p. Contains: Diagrams. Rich Dad's (Paperback). New. Trade paperback (US). Glued binding. 229 p. Contains: Diagrams, Figures. Great book. Kiyosaki's approach to commonsense financial intelligence is easily understood, simple, and straightforward.